Fundraiser by Romero Erika : Bulldogs to State! Garfield High School in East Los Angeles will be turning 100 years old soon. In its 94-year history, it had never played in the California State CIF 4A Regional Championships. They accomplished this feat this past Saturday, December 1st by defeating Kennedy High school from Delano, California by a score of 42-10. 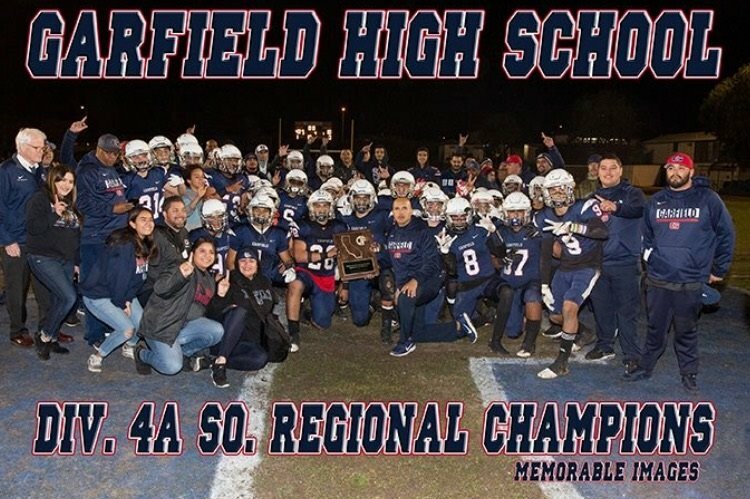 Garfield is currently the 4A Southern California 4A Regional Champion and will be traveling to either Santa Cruz or Oakland, which dependent on next week’s Northern California Division 4A winner. Garfield HS is the sole representative for the Los Angeles CIF - LA City Section. The unfortunate thing about going to the state finals is that there is no financial support provided by The Los Angeles Unified School District or the County of Los Angeles to help offset the costs of participating in the state FINALS. Garfield has a rich school history and its traditions are decades old, including its 84-year football rivalry with Roosevelt High School in what every knows it as the East LA Classic. In order to avoid having to rely on a 6-hour caravan of private vehicles to transport the scholar athletes back and forth on the same day, we are seeking sponsorship to off set the transportation costs and hotel accommodations in the form of 6 private charter buses, approximately 30 hotel rooms and meals respectively, for the Saturday, December 15, 2018 game. We’d like to provide our scholar athlete with a once in a lifetime experience, they have earned and more importantly deserve based on how they’ve conducted themselves on and off the field. Your donation will help ensure a life changing experience for our future leaders and community members. On behalf of our great scholar athletes , we thank you in advance and appreciate your support. Please feel free to share.